Succulents are a great choice for any gardener. They are a low maintenance plant available in a variety of sizes, textures and colours. Succulents hibernate just like us in the winter, only requiring water once every 2-3 weeks! Once the warm weather rolls in, these plants love to live outdoors in a sunny location. Although most prefer a bright light, the Jade plants is one that can tolerate low light. 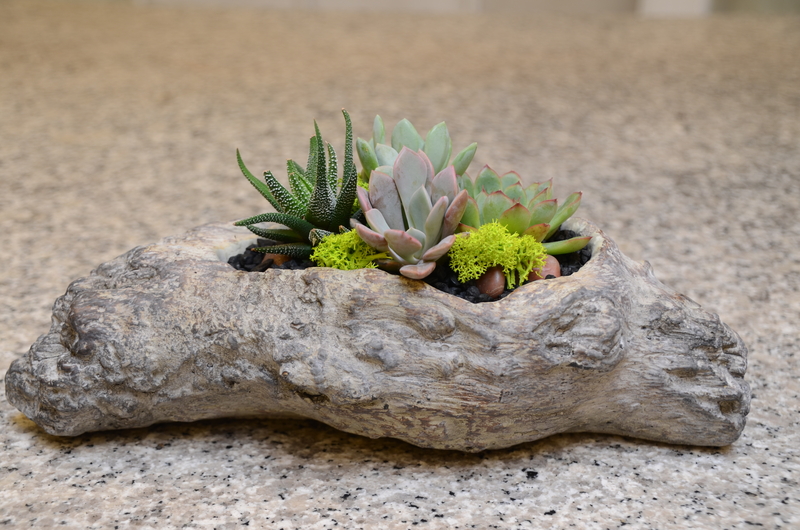 Succulent gardens are an entertaining way to add colour to your dining area, coffee table or outdoor patio. 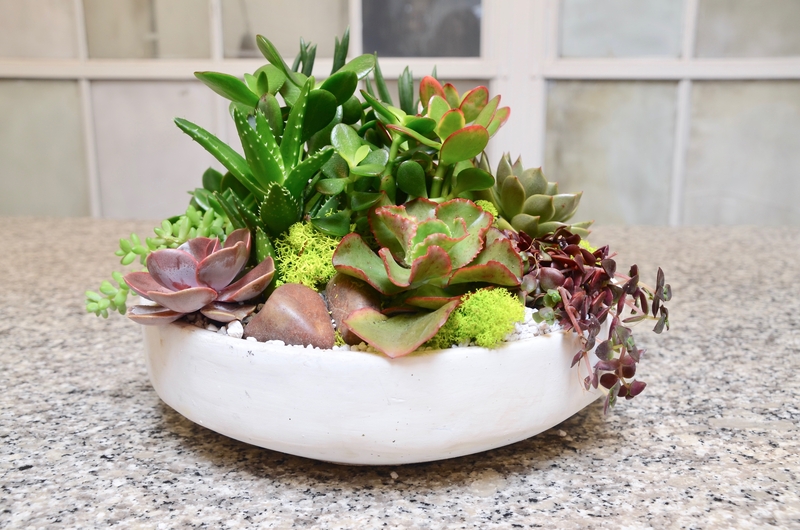 Plant them in your favorite pot and choose plants that suite your space, a unique way to make it your own! Add a modern twist to your arrangement with decorative rocks, and bright green moss. 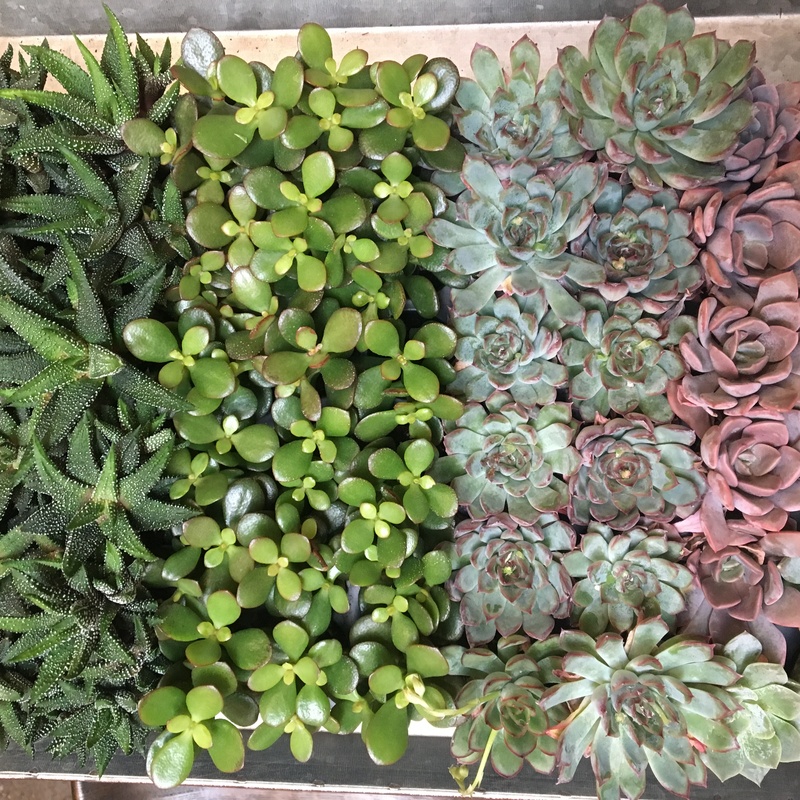 Succulents gardens are cheerful and charming taking the stress away from hostess and birthday gift! Building these gardens is also a great activity for the little gardener at home!